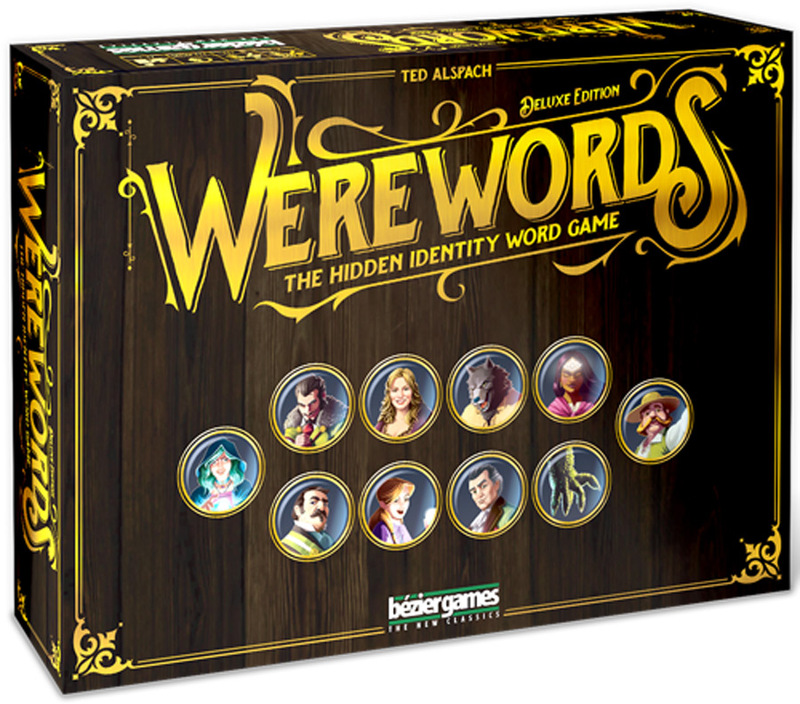 Today, Bézier Games announced Werewords Deluxe Edition, a new version of the hit party game that puts a Werewolf twist on a popular word game. 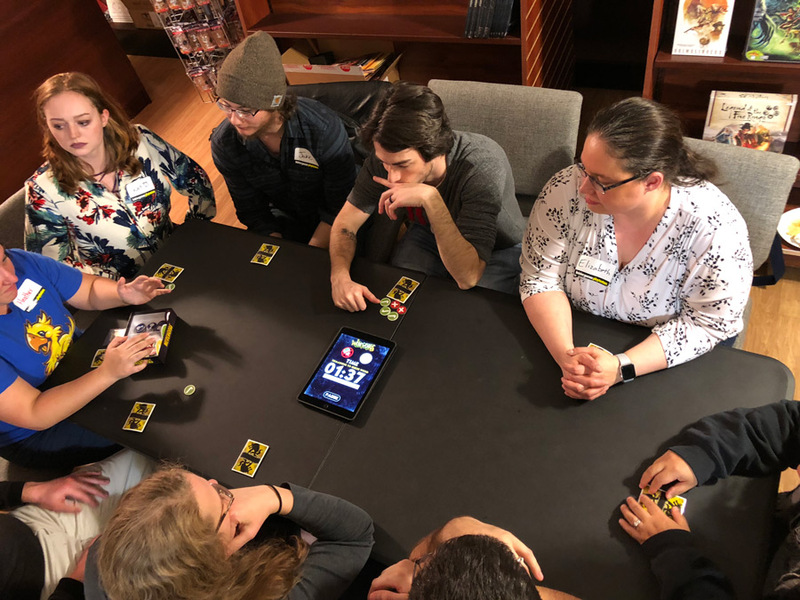 The game will be launched on Kickstarter on March 5 2018, and will ship in time for Gen Con this summer. 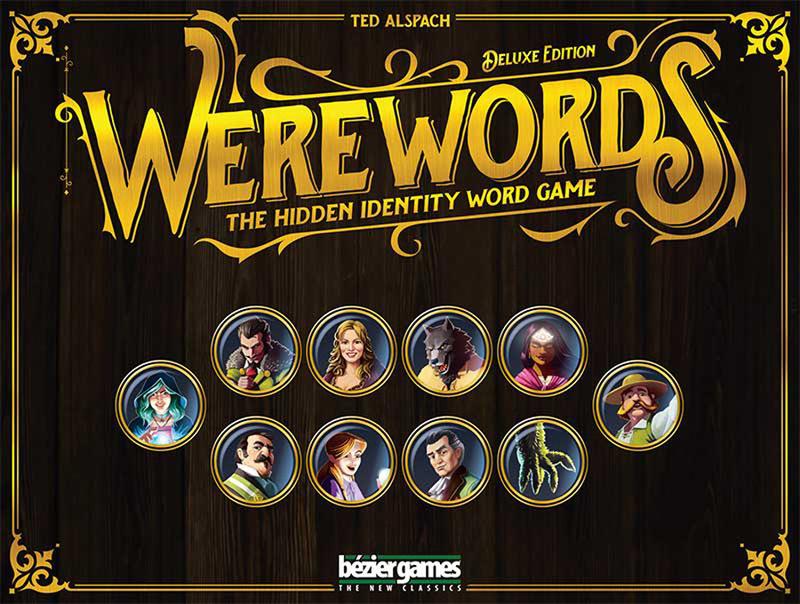 Werewords Deluxe Edition takes the original Werewords game, addresses issues gamers had with the original production, and adds new roles and modes to the original game. 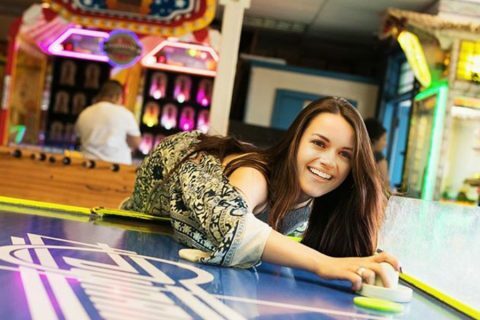 It supports a larger (and smaller) number of players, and the app has been entirely reworked to provide an even better experience for players. 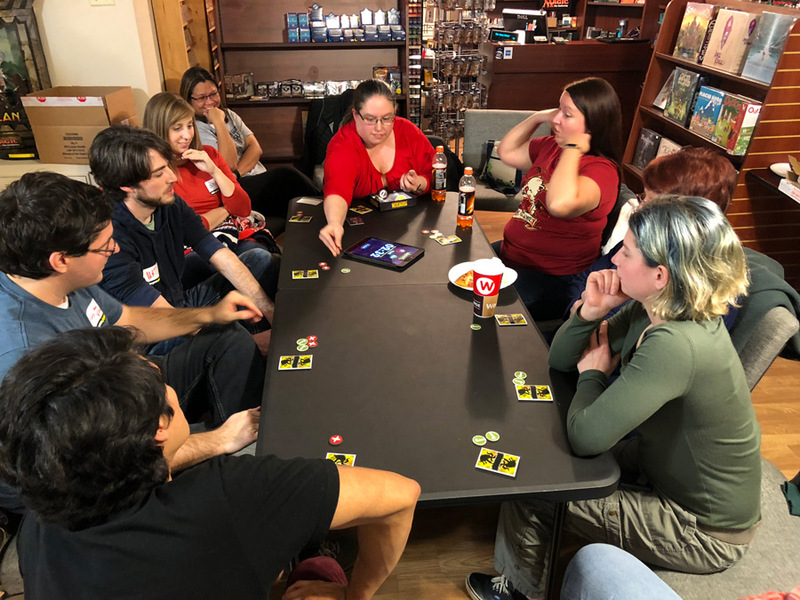 The core of Werewords has not changed: One player is the Mayor, who knows a Magic Word that is so powerful that it has rendered him speechless. This Magic Word, when said by everyone in the village, will remove all the werewolves, keeping everyone safe. In order to guess the Magic Word, players ask the Mayor questions, and he responds by handing them Yes, No, or Maybe tokens. Unfortunately, the werewolves also know the Magic Word, and are trying to divert the village from figuring it out, while the Seer knows the word but has to be careful not to give away her identity. In yet another twist, the Mayor himself might even be a werewolf! 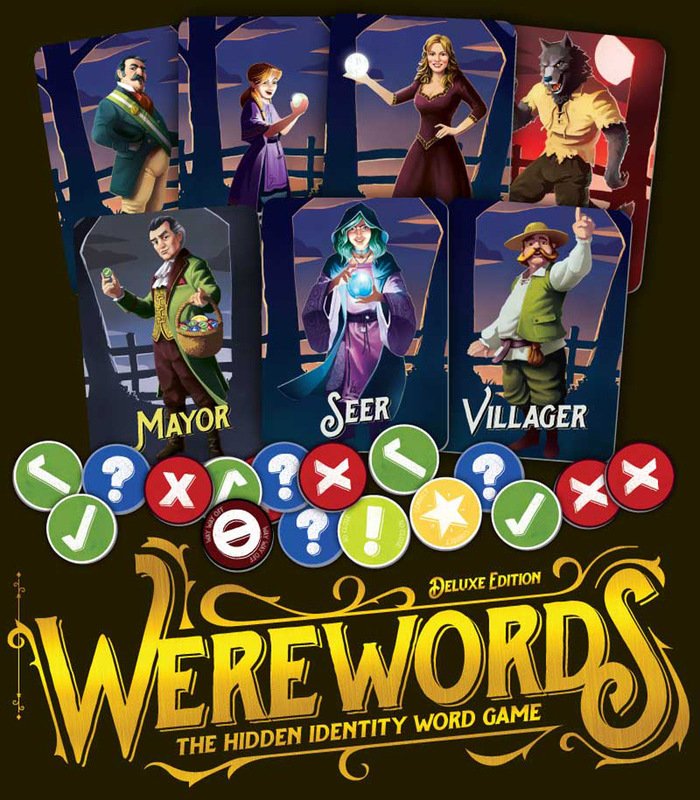 Werewords Deluxe mixes in a new Seer-like role, the Fortune Teller, who only knows certain letter of the Magic Word, the Thing (that goes bump in the night) who secretly lets other players know he’s on the village team, the Apprentice (who takes over for the Seer if the Mayor has that card), and more. The artwork has been totally redone for both new and old characters. 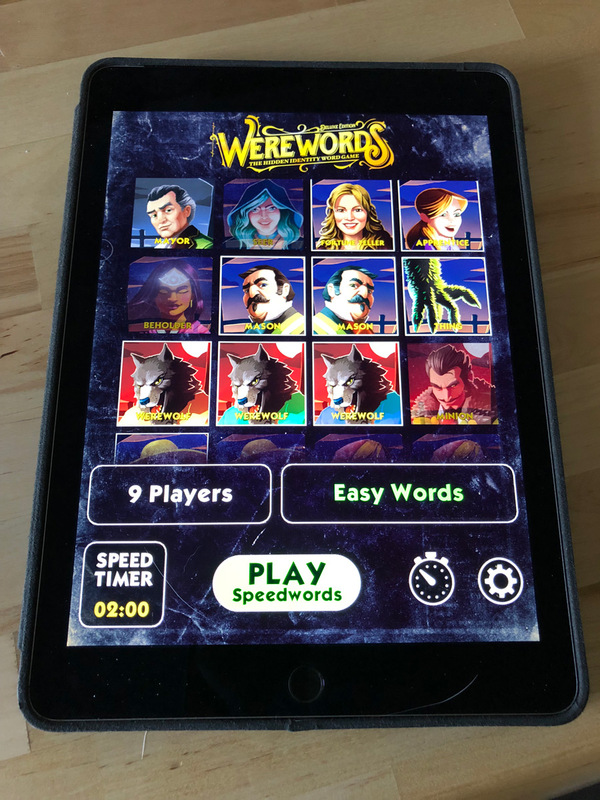 There’s a brand new optional mode of play, called Speedwords, in which the players get to see the number of letters in the word, and some of the letters themselves…which are chosen by the werewolves! The downside to this is that players have half the time to figure out the Magic Word. 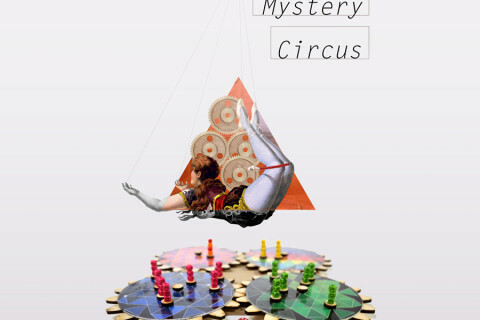 And of course, there’s a brand new app for this, with a brand new narrator (who has a brand new attitude). New built-in wordlist categories: Food, Literature, Movies, Music, The 50’s and 60’s, and The 80’s. 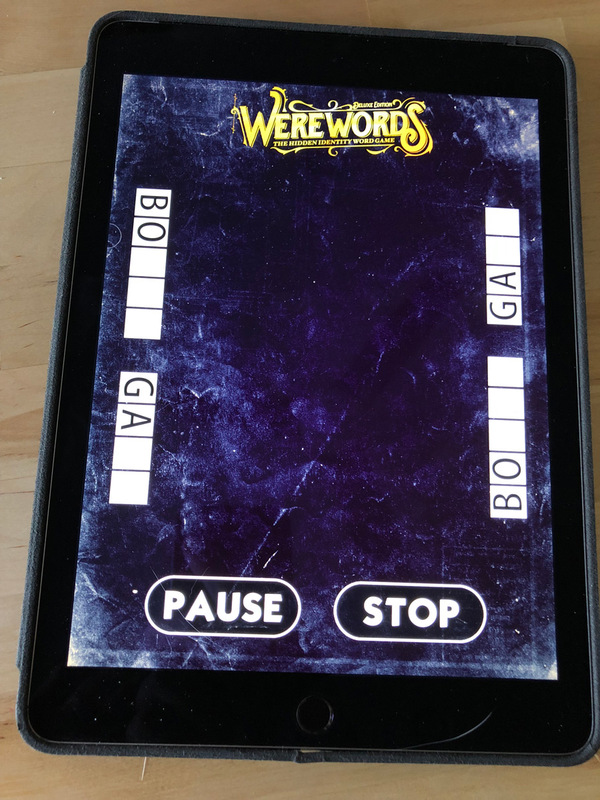 We will continue to enhance the Werewords app and add additional features and wordlists after the game is released. There will be a Kickstarter for Werewords Deluxe Edition starting on March 5th, and the game will ship in time for Gen Con this summer. 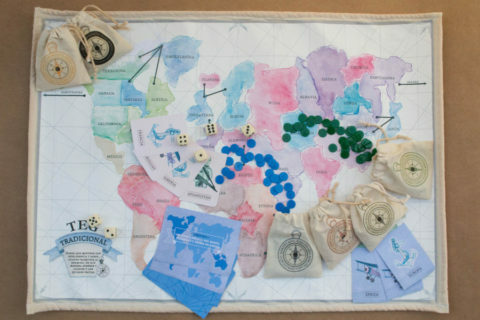 Love werewolf hunting, would like to try this game once – sounds fun!